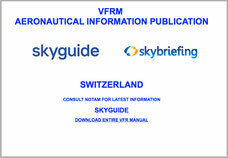 Order the annual Swiss Aeronautical Information Publication (AIP Switzerland) with its periodic updates, or aeronautical and glider charts for Swiss airspace here. 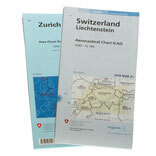 All orders are sent via Swiss Post and can be paid upon receipt of invoice. 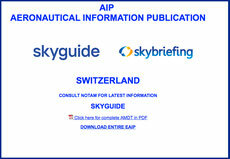 AIP Switzerland contains information essential for safe flying, including regulations covering air routes, airspaces and approach and departure procedures. 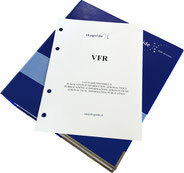 The pilot-in-command is responsible for the operation of aircraft in compliance with, among others, the regulations contained in the AIP and VFR Manual. Changes to this publication (yearly subscription) are issued monthly by means of amendments including reprinted sheets and charts. 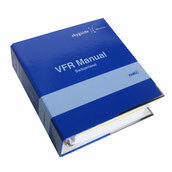 The amendment is issued with a check list of the contents of the manual. The information originates from official sources or from aerodrome operators and is transcribed with utmost care; nevertheless the AIP Service cannot guarantee in an absolute way the absence of error. Operationally significant changes to an AIP must be published in accordance with the AIRAC procedures.